I am a new Ubuntu Linux user. How can I install a package called package.deb? Can I use Synaptic front-end package management tool to install packages from the CD or Internet such as apt command or apt-get command. However, I would like to install a special .deb file. 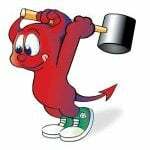 How do I install .deb package from the terminal using command line option in Ubuntu Linux or Debian Linux? You need to use the dpkg command, which is a package manager from shell/command prompt for Debian and Ubuntu Linux. You can use this tool to install, build, remove and manage packages. dpkg itself is controlled entirely via command line parameters. How Do I install .deb Packages on an Ubuntu Linux? -i or --install : Install the .deb package on Ubuntu Linux. -R or --recursive : Recursively installed all *.deb files found at specified directories and all of its sub-directories. /path/to/dir/name/with/lots/of/dot-deb-files/ must refer to a directory instead of package-name-here.deb file name. How do I install .deb file on Ubuntu? How do I install a atop_2.3.0-1_amd64.deb file via the bash command line? I had a directory of backed up .deb files that I had to restore. I just double clicked the .deb package and let ubuntu do it all itself. Nice one. thank you so much. now i know “dpkg -i file.deb” alone would not work. cheers! it will install all the packages. that worked, nice command. just put the package on the desktop, then run the terminal from there, worked just fine. Thanks for the tips ’bout .deb install. I am totally new to Ubuntu. Installed it because of a disk failure on my laptop. When wanting to install windows for boot on my spare USB-drive, Windows (bulls*%& MS) couldn’t do it (blue screen). Frustrated I booted the Ubuntu 8.0.4 CD-ROM I had downloaded a while ago. Ubuntu found the disk like nothing! Halleluya!!! So now I am able to still use my good old laptop! And it is MUCH more faster than under Windows. Finding a new HD to a 5 years old Dell Inspiron isn’t easy. I might as well retired my current Inspiron 500m as a kinda homebrewed webserver and buy one of those snaksy new minis, like EEEPC or Dell Inspiron Mini 9, but INCLUDED with Ubuntu of course. Good bye Windows. BTW:I have never before found such a happy bunch of contributors/helpers/goodminded persons as I have in the Linux-world! A general thanks to all’ye for yer help during the transition. From now on: straight into Ubuntu-heaven! Old IT-guy (30 years experience) from Norway living retired cool days in Lapu-Lapu, The Philippines. wooo… thx a lot. i’ve been wondering how do i install DEB packages. i want to install this WINE packages but all i see is to connect to the internet first. But i can’t go online because i dont know how to install my wireless card. so, i juz download this DEB manually and install it. thanks. it’s a very useful info. How can i compile kernel modules (my programs). ya instale el vmware, pero donde quedo la instalacion? Thanks, It really helped me out! 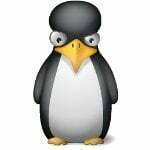 Version of linux-image-generic on system is 2.6.31.16.29. Package openssh-server is not installed. Package xinetd is not installed. Package apache2 is not installed. Package apache2-suexec is not installed. Download it from the Internet or the official ftp / mirror site. You can also use apt-get to install packages over the Internet. I just tried using dpkg and it did not resolve dependencies for me. what about if the gui does not start, then you have to install the package e.g chromepackage from the command line. so how do you click if your gui/desktop does not even work ? sir, thanks for your article.it is very helpful for me. thanks – installing ubuntu server and needed to install webmin from a .deb file! Oh, and for all of you wondering why we don’t “double click” on the file. Download and install ubuntu SERVER – – – – – then try to double click! It ain’t got no GUI. So learn the command line or you will be lost! Nice post! Short and to the point. Thank you! i convert tar.gz or tar.bz2 to deb file with alien. but after i install them, i cant find them in applications. i try for installing wvdial in ubuntu 9.10. 1> i download all 5 packages. i give some errors for /etc/apt/sources.lst for some hyperlinks. i am very desperate to dial up pc with mobile. thanks!! it really helped me! Hi. I am surprised that this install did not work successfully on my system (Linux Mint, though it says that it is Ubuntu 10.10 in the About Ubuntu section…). Selecting previously deselected package mysql-workbench-gpl. Package mysql-client is not installed. Any help and insight as to why there are errors would be greatly appreciated. Thank you!! With GUI and only a couple .deb packets, it’s indeed easier to just double click. i am unable to install package for emacs on ubuntu 10.04 , i have saved the package on the desktop. any one can help me out..
these many packages were updated manually by the command , sudo dpkg -i ./filename. on every package it showed on the terminal ” setting” and three package dependencies are broken that are , python2.6, emacs22, libreadline6. People who receive errors, especially unresolved dependencies, may use the APT Package Manager. 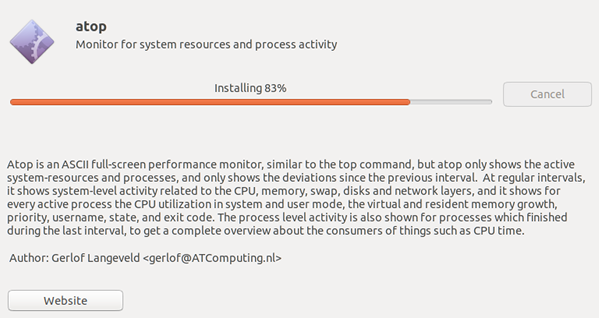 If you have Ubuntu Desktop installed, you can use the Synaptic userinterface (for apt) for managing your packages. Syaptic will know all packages on the CD and may have configured additional web sources during installation. If not you can add new online sources anytime in the GUI. Synaptic will, as it uses APT, resolve all dependencies (or at least will try) during package installation. if you want or have to use CLI and #sudo dpgk  does not wortk, use the apt-get command (apt package manager) instead, which resolves all dependencies. however, having internet connection available ist the easyest way to go. for more Information on APT search google, or ask your WIKI. 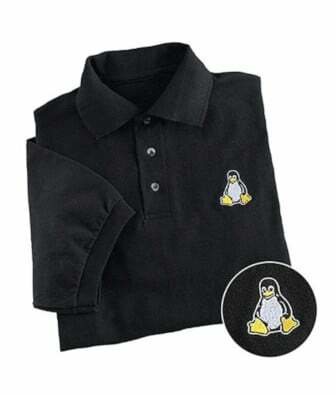 I am new to linux world! I have a package downloaded on my ubuntu 9.04 desktop, I am trying to install it! Not that this package is not a .deb ! Thank you. It worked well! Thanks a ton for the post… Really Helpful !! This command isn’t run on ubuntu 12.04 ! linux is a big joke. click on .deb file and the stuppid OS asks me what program i would like to use. after installation just rigth click on .deb pachage -> open with gdebi,fallow the instruction ….that all ! I am using this command. it’s replacing all file , deleting other file which are not in this package. Very usefull info. This command must be remember if you’re Debian Linux User. 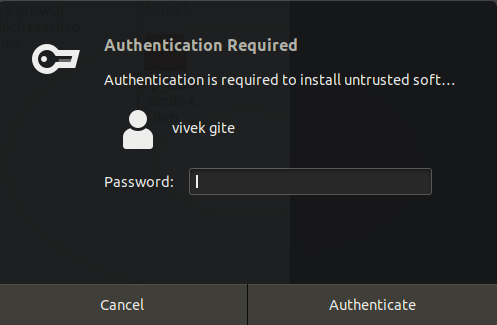 I am new to Linux and just installed Ubuntu but I am totally confused, please direct me to a users manual or something to help. I downloaded the Exodus viewer file “exodusviewer_12.11.24.1_all.deb” and as directed here did: $ sudo dpkg -i exodusviewer_12.11.24.1_all.deb in my home/Download directory. The terminal prints that it is installed in /usr/local/share/applications but I can’t get there from the command line after I use sudo -i to be at root access. No directories show up when I use ls -l.
When I use the Nautilus file browser to go there I find the file called “exodus” but double clicking it does nothing. This is all so confusing and frustrating when they do not list any installation directions and I can not find a user manual type document anywhere. When you ask some people they arrogantly reply with “RTFM”. Well where is the manual? I installed my ubuntu custom kernel with deb files using dpkg as mentioned above. I the same Machine where it builed. When i take the deb file to other machine with same configuration. Installetion was successfull, I am not able to compile any modules in the installed kernel. Nice explanation and very simple instructions. I just installed the latest alpha of Kingsoft Office and it went as smoothly as can be expected for an alpha. I’m not sure if this method ( [dpkg -i … ] ) will going wrong. because sometimes dependency go wrong with only the first command, then you have to use the second command to solve the dependency problem afterwards. My way is put the .deb file into [/var/cache/apt/archives] , and run [aptitude install ]. 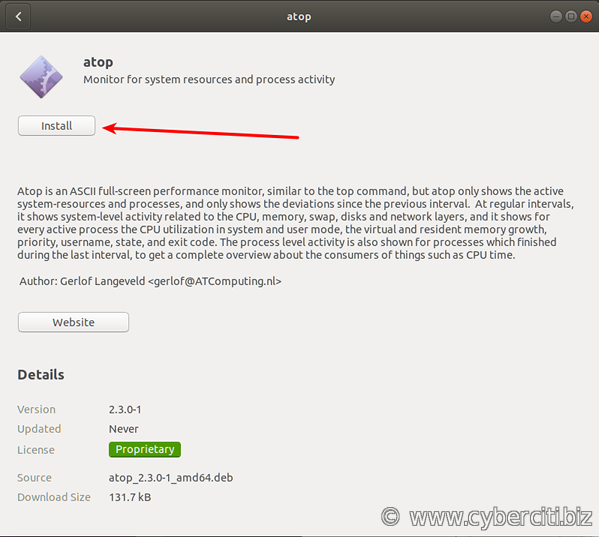 aptitude will check the local package in [/var/cache/apt/archives] , then install it. I not found the way to use aptitude to install .deb file directly yet. But I’m not sure whether these method is flawed, maybe someone can tell me. Add sudo at the beginning. Neither the Terminal or any other form of “command line intervention” is required to install a .deb package in Ubuntu. A simple “double click” of the mouse is all that’s required to install a .deb package. The manner in which many “command line centric Linux enthusiasts” instruct main stream Ubuntu end-users to employ the terminal when far simpler “point and click, cut and paste or drag and drop” options are available to them, is both patently absurd and EXTREMELY misleading. The installation procedure is virtually identical to that of installing an application that’s been downloaded to Windows.